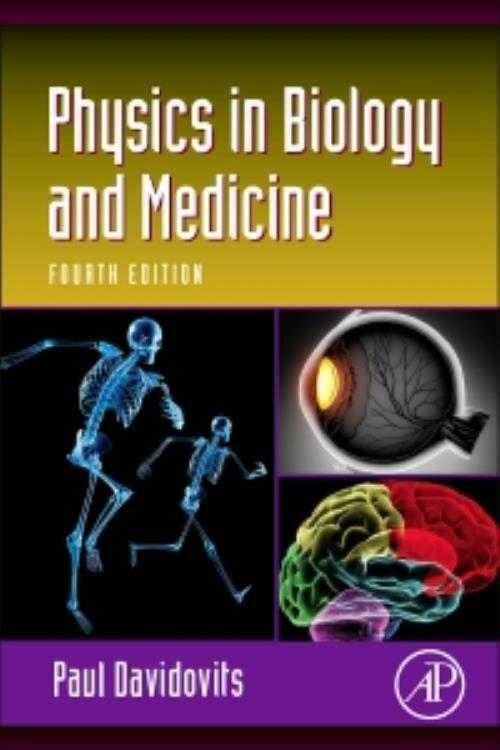 Physics in Biology and Medicine, Fourth Edition, covers topics in physics as they apply to the life sciences, specifically medicine, physiology, nursing and other applied health fields. This is a concise introductory paperback that provides practical techniques for applying knowledge of physics to the study of living systems and presents material in a straightforward manner requiring very little background in physics or biology. Applicable courses are Biophysics and Applied Physics. This new edition discusses biological systems that can be analyzed quantitatively, and how advances in the life sciences have been aided by the knowledge of physical or engineering analysis techniques. The volume is organized into 18 chapters encompassing thermodynamics, electricity, optics, sound, solid mechanics, fluid mechanics, and atomic and nuclear physics. Each chapter provides a brief review of the background physics before focusing on the applications of physics to biology and medicine. Topics range from the role of diffusion in the functioning of cells to the effect of surface tension on the growth of plants in soil and the conduction of impulses along the nervous system. Each section contains problems that explore and expand some of the concepts. The text includes many figures, examples and illustrative problems and appendices which provide convenient access to the most important concepts of mechanics, electricity, and optics in the body. Physics in Biology and Medicine will be a valuable resource for students and professors of physics, biology, and medicine, as well as for applied health workers. Paul Davidovits, Professor of Chemistry at Boston College, was co-awarded the prestigious R.W. Wood prize from the Optical Society of America for his seminal work in optics. His contribution was foundational in the field of confocal microscopy, which allows engineers and biologists to produce optical sections through 3D objects such as semiconductor circuits, living tissues, or a single cell. He has published more than 150 papers in physical chemistry and is a Fellow of the American Physical Society and of the American Association for Advancement of Science. The second edition of Physics in Biology and Medicine received the Alpha Sigma Nu Book Award in the Discipline of the Natural Sciences.